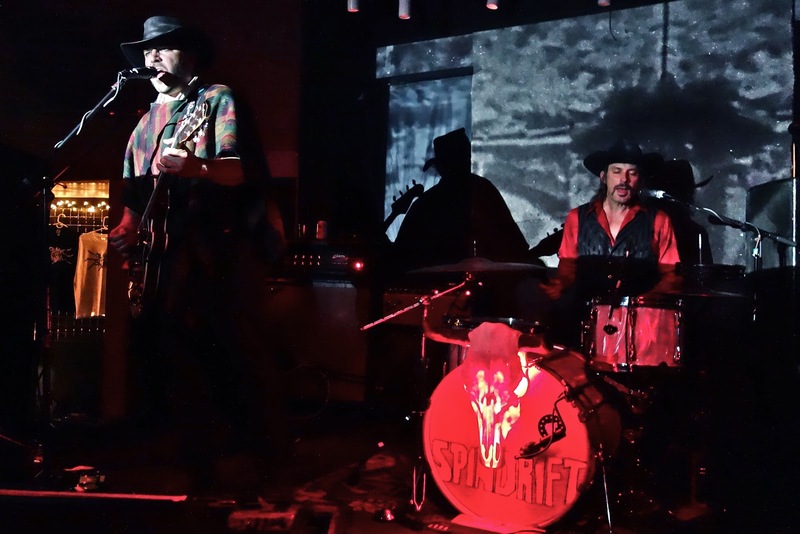 Spindrift has a new album out, Ghost of the West, and Friday night they held their east coast record release party at Glasslands. 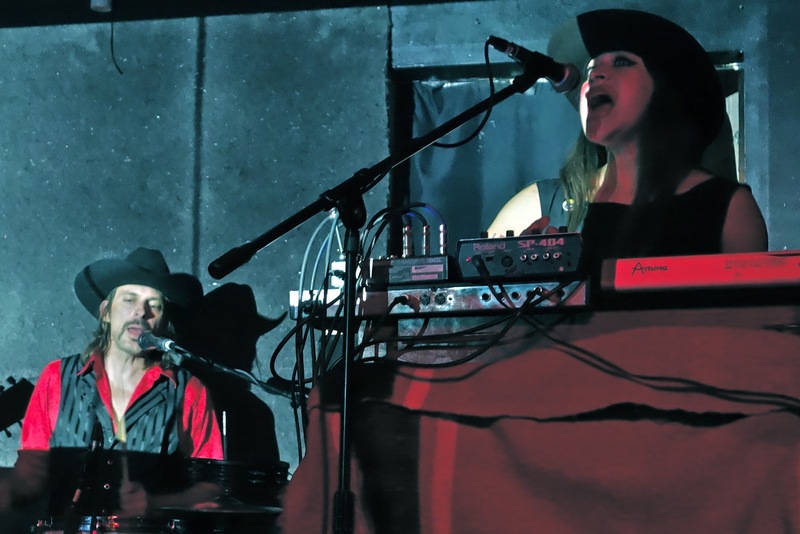 Led by Kirkpatrick Thomas, their sound is best described as spaghetti western psychedelia. 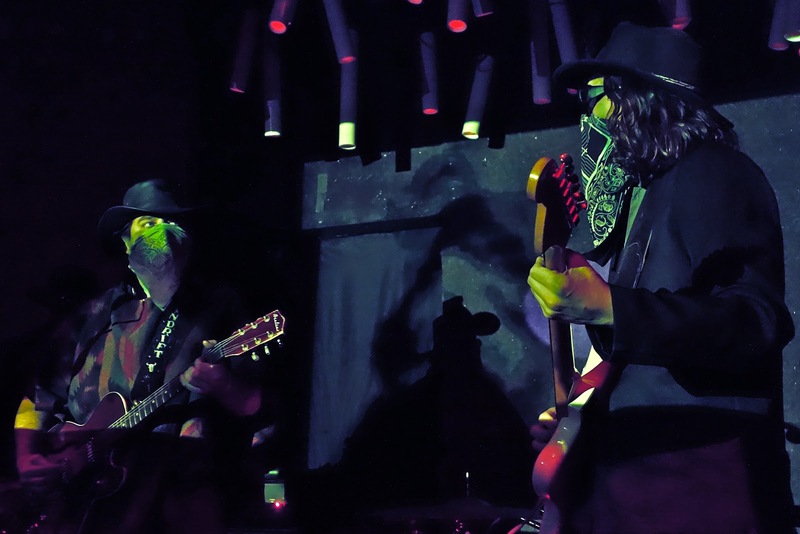 Inspired by Ennio Morricone, specifically his brilliant soundtrack for "Once Upon a Time in the West", they have virtually invented a new rock n roll aesthetic. 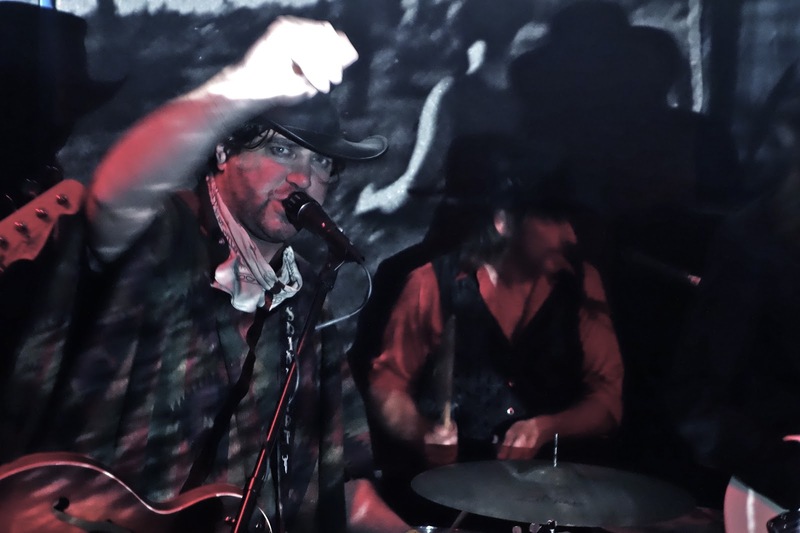 Not quite cowpunk and far from alternative country, no one is making music like them. Their detractors accuse them of parody, but I find them guilty of nothing more than blazing their own trail and enjoying the ride. 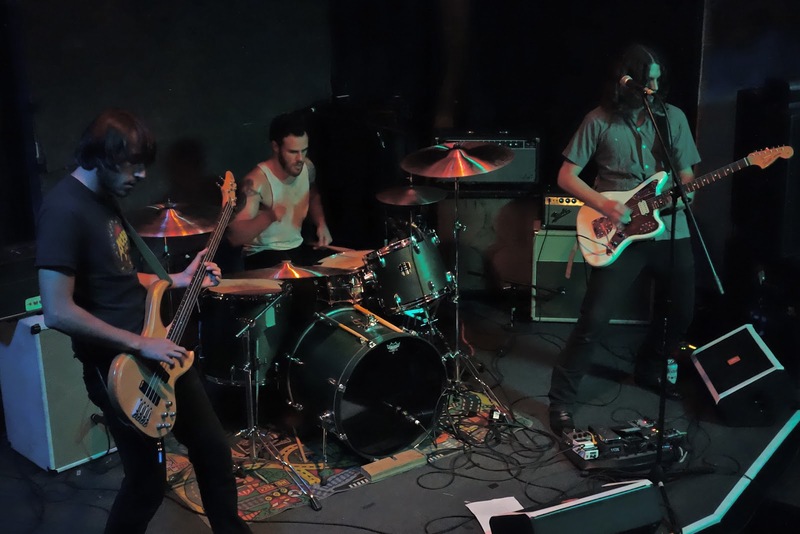 There were two bands before Spindrift, Mirror Queen and Blaak Heat Shujaa. Unfortunately, I missed Mirror Queen, so I can't report on them. Fortunately, I did get to see BHS. Good god almighty! They blew me away. After their set I spoke with Antoine Morel-Vulliez, the bassist, at length about their story, traveling, etc. Great guy. Turns out they're playing the Cake Shop with Heliotropes and Mirror Queen next Saturday. I'll be there and I'm looking forward to hearing them tear it up again. 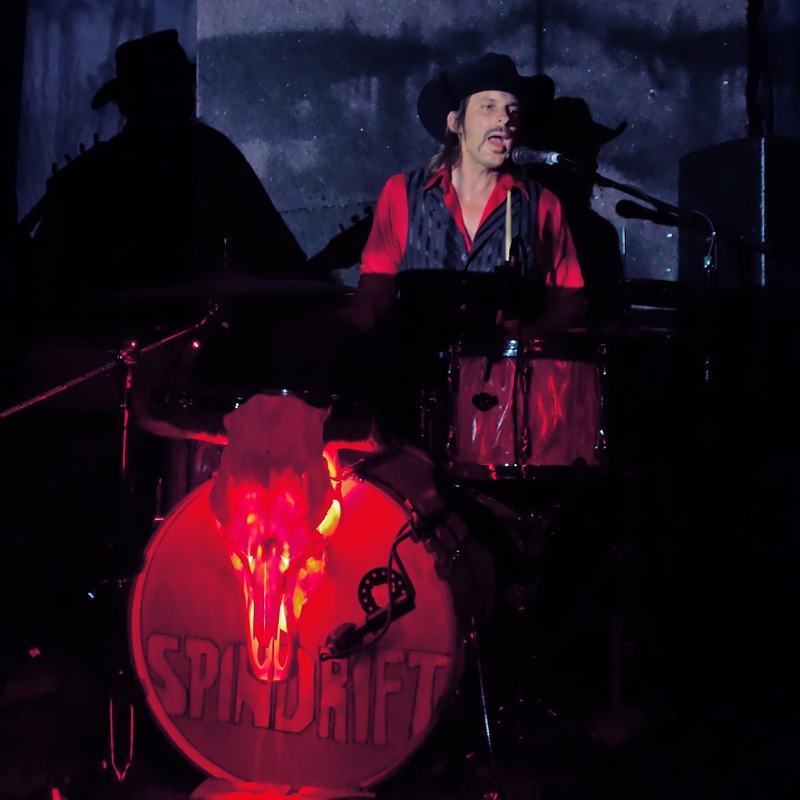 Looking like the Hole-in-the-Wall Gang, with ponchos, bandanas and gambler cowboy hats, Spindrift took us all on a ride across the dusty plains in a lawless land. 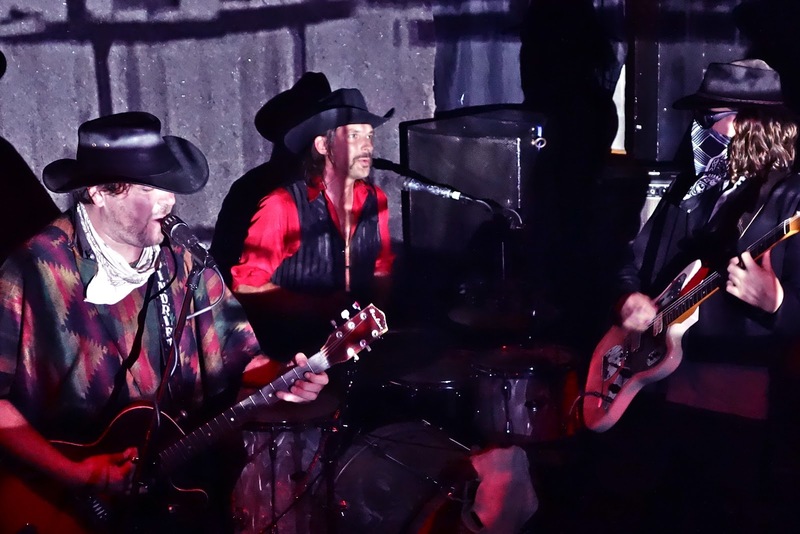 A projector showing vintage black and white clips provided the stage lighting as the boys galloped through their catalog of originals and covers. 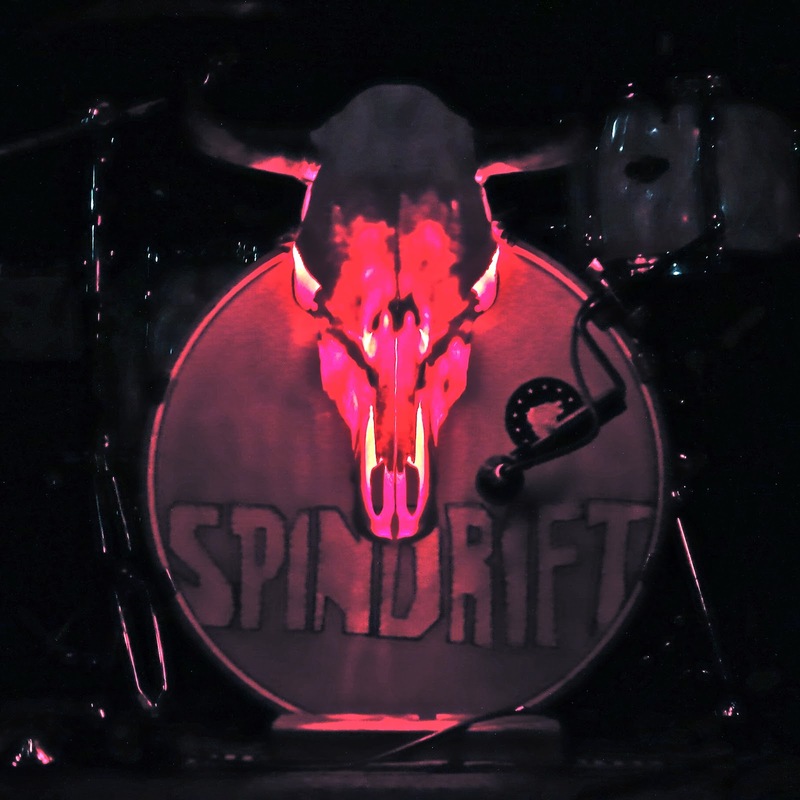 Spindrift whooped it up, sounding far heavier than their studio work. 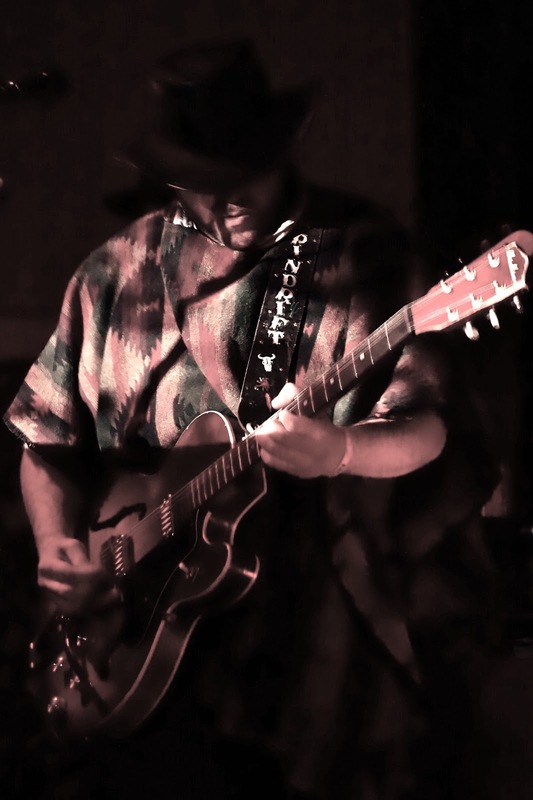 Songs like The Matador and the Fuzz had a dangerous, raw energy to them that had me envisioning myself robbing a train in a Quentin Tarantino movie or throwing someone off the Glasslands balcony onto a table. On "Ghost of the West", they slow things to an easy mosey quite often. On Friday, if they played something subdued, I missed it. 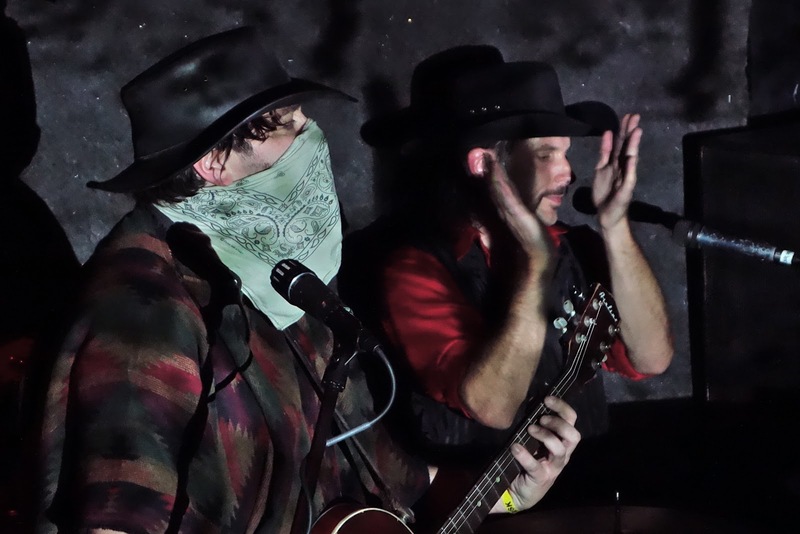 Spindrift wrapped things up with a breakneck cover of Miserlou before they rode off into the sunset. Actually, they invited everyone over to Passenger Bar. The fact I was exhausted after a long week at work is something I'll regret for a while. Drinking whiskey with these guys would likely have been a highlight of the year. Or maybe I would have ended up in the sheriff's custody after a bar brawl. Who knows. I reckon we'll meet again though, and next time I'm buying the first round. 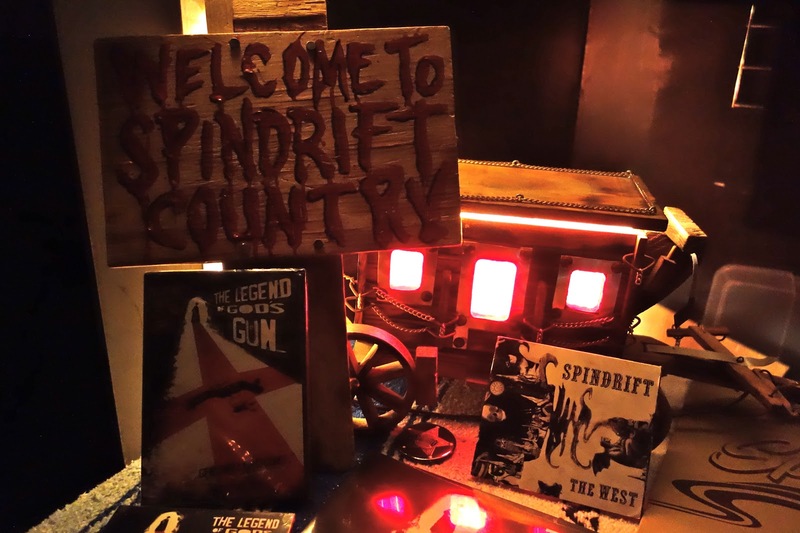 Spindrift is not only creating great music, they are making films as well. What kind of films? Westerns, obviously. Check out the trailer for their first film, "The Legend of God's Gun", released in 2007.